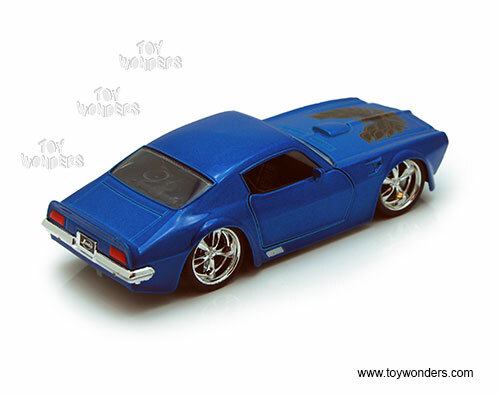 96933 Jada Toys Bigtime Muscle - 1972 Pontiac Firebird Hardtop. 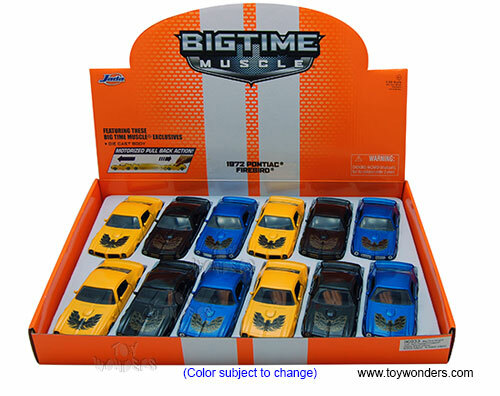 5" diecast collectible model car. 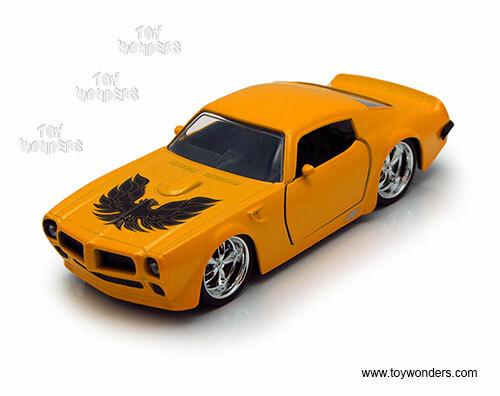 This Pontiac Firebird is a 5"L x 2"W x 1.5"H diecast metal car with pullback action and openable doors. This 1972 Pontiac Firebird comes in 12 pcs per display box in assorted colors with a black eagle on the hood. 60 pcs per inner box. GM is a trademark of the General Motors Corporation. 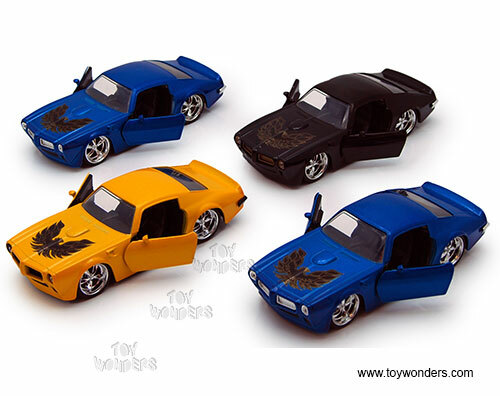 To see more Pontiac Firebird collector die-cast vehicles (click here).